Let me be quite clear: someone who is looking for an (automatic or mechanic) watch with an average daily rate expressed in seconds per month or year, can usually better buy a quartz watch. 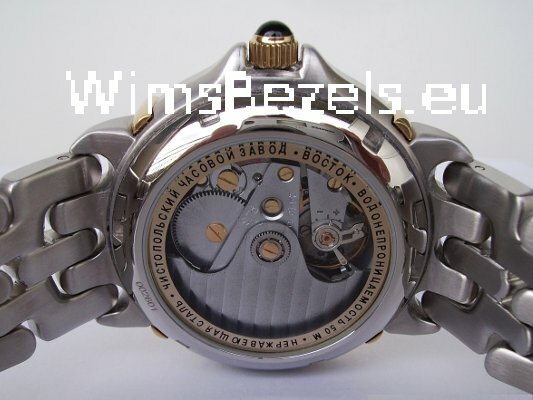 The very accurate chronometer (automatic) watches are very expensive indeed. A mechanical movement has an average daily rate expressed in seconds per day. After delivery the average daily rate can be somewhat higher than the (factory)specification. After 1 - 2 months the watch will reach it's definitive average daily rate. A spring movement will run faster in general if the spring is more wound up. 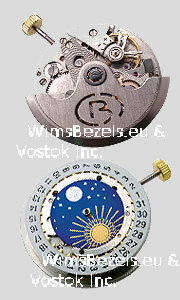 The average daily rate of automatic watches also depends on the wrist activity. This can vary from person to person and daily adjustment can be desired. 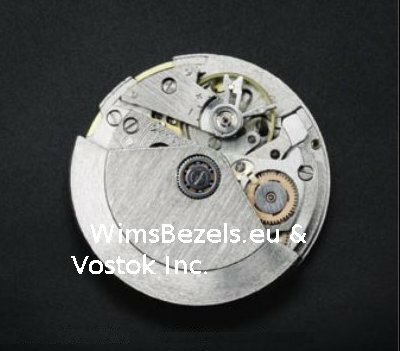 It can be desirable to have an automatic or mechanic watch adjusted by a watchmaker. 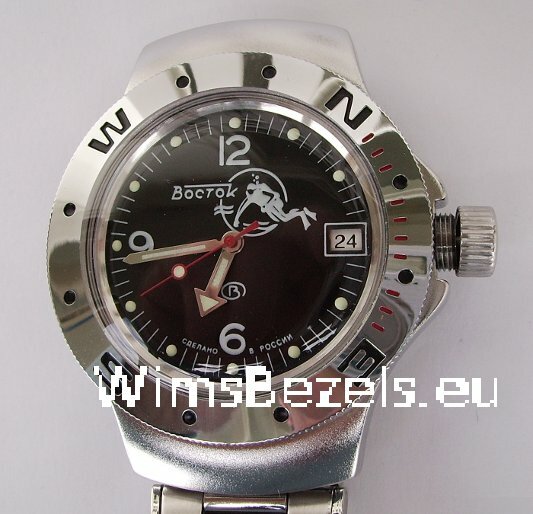 The Vostok 2416B automatic Russian watch winds up itself entirely quite easily and fast. 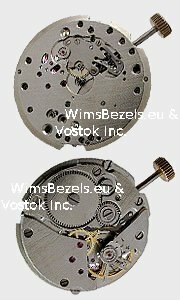 The automatic watches, like the series: 18, 25 and 92, have a thickness of about 13 to 14 mm. The series: 540 has a thickness of about 11 mm. The series: 060 has a thickness of about 14 mm. The series: 130 has a thickness of about 15 mm. The series: 272 has a weight of about 80 gram. The series: 060 has a weight of about 125 gram. The series: 010 has a weight of about 150 gram. Those mentioned above have a wideness (incl. crown) of about 42 to 44 mm. 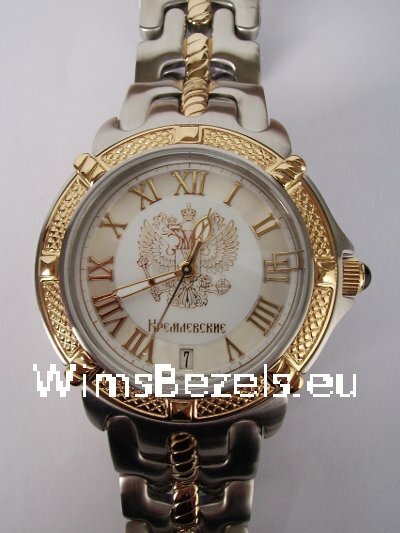 A (Russian) watch with an ordinary crown can be wound up by twisting the watches crown. 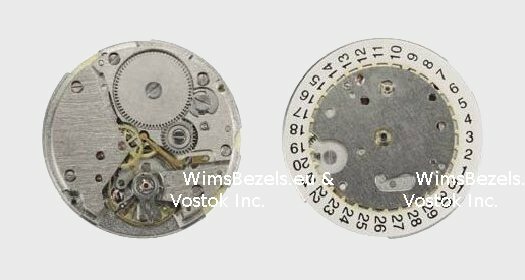 A watch with a screw-down crown can be wound up by turning the crown in a counter-clockwise direction first, then it will pop-out, or "drop" out away from the case, and hereafter the watches crown can be twisted. 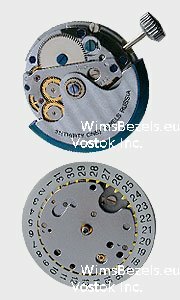 The adjustment of the (Russian) watch is done by pulling out the crown (both of them) a little and by twisting it after this. The date change occurs between 20.00 and 24.00 hours. You are allowed to move the hands forward and backward by twisting the crown clockwise and counter-clockwise. Do not pull out the crown of the Russian watch any further. The adjustment of the length of the stainless steel strap is done by pushing out the round pin at the arrow. The thin mineral and organic glass is fairly scratch resistant and somehow comparable with ordinary thin glass. Watches have different levels of water resistance. Below a few examples of the different levels of water resistance and the meaning in practice.